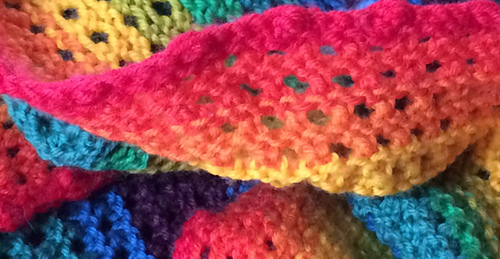 This is a recipe for dyeing a rainbow, using food color in your kitchen. A very simple scarf pattern is included, which is for an easy bias garter mesh scarf. 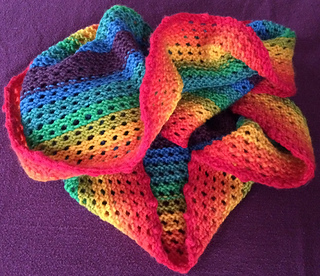 You will get a lovely scarf with blocks of color that progress in the 9 colors dyed for this rainbow. Alternatively, you can knit a Lichen Moebius Scarf as shown in the file photos. The pattern file includes a modified bind-off for Lichen (I call it a bobble bind-off) and a $1 coupon for the Lichen pattern. Or use the dye recipe for any pattern that you choose! Go make a rainbow!